Thanks to a leaked trophies list for Black Ops 4, we know that the primary Wonder Weapon in Blood of the Dead is the Magmagat. This craftable weapon is an upgraded version of the original Blundergat but of course it shoots deadly Magma rather than blunt force shells. Fans of the Treyarch zombies will remember only too well the original Blundergat Wonder Weapon from Mob of the Dead. The Blundergat was a shotgun style weapon with two powerful blasts. It was available through the mystery box but could be further upgraded into the Acidgat by finding and assembling three missing pieces that were scattered around the prison confines. Once constructed the Acidgat would fire "sticky" bullets that attached to zombies and exploded after a brief delay. The shower of acid would explode and damage other nearby enemies and result in a large grin from the originating player. With the release of Blood of the Dead, Treyarch have kept the existing Blundergat and Acidgat weapons but also introduced the Magmagat, which is also an upgrade to the base weapon. The Magmagat shoots magma and any zombies directly hit by the blast will explode (except for Brutus who slowly burns). Missed shots will result in fiery patches on the floor that can hurt both zombies and the player. In Blood of the Dead, forge a Magmagat. The description alone confirms that the weapon must be forged or crafted, rather than simply found in the mystery box. Thankfully, no additional parts (inventory items) are required to craft the resulting Magmagat. 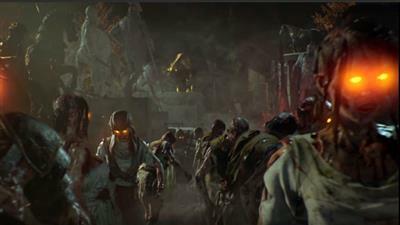 In Blood of the Dead, equip Hell's Retriever, Spoon, Blundergat and Tommy Gun. Most of these should be familiar with anyone who played the Mob of the Dead map in Black Ops 2. 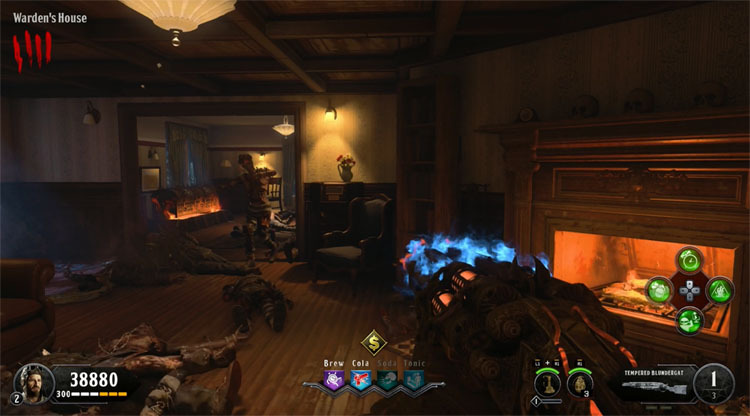 The Hell Retriever was a delightful boomerang style weapon that would cut through hordes of zombies in one go whilst the Spoon was a melee weapon, rewarded as part of the Easter Egg steps. Lastly, the Tommy Gun is of course the fan favourite automatic weapon that was present in the Docks area of the map. Its huge magazine size and fast rate of fire were compensated by it's low damage rating. Obtaining the Magmagat is actually fairly simple. Watch the short video guide or continue reading below for the text guide. Locate the Warden's House at the rear of the prison complex. It's accessible via Warden's Room -> Eagle Plaza -> Warden's House. Inside is a chimney and fireplace. Put the Blundergat weapon into the fireplace. Your typical soul collecting process now commences. Kill zombies and collect the blue orbs that release from their bodies. As you collect souls, the skulls on top of the fireplace will turn blue. When all three are lit you can interact with the fire place again and pick up the "Tempered Magmagat" weapon. The weapon is burning hot and must be cooled. Carry the weapon outside the house and look for barrels with blue fire inside them. The first is just beside the entrance to the Warden's Office. Now follow the trail all the way back to the New Industries building, stopping at each of the blue barrels to keep the weapon cool. Place the weapon onto the yellow table and wait a few seconds for the new weapon to be ready.